Friday, October 13. Ko.7.45pm unless otherwise stated. Munster Junior Cup first round: Leeview B v Cathedral Celtic, Mayfield Community School, T. Thompson. AUL 2: Leeview B v Churchvilla, Mayfield Community School, T. Thompson. Saturday, October 14. Ko 2pm unless otherwise stated. Munster Junior Cup first round: Kilmichael Rovers v Village United, Kilmichael, T. Kelleher. Munster Junior Cup second round: Kanturk v Coachford, Kanturk, A. Buttimer. President’s Cup second round: Los Zarcos v South Coast Ath, Millstreet, B. O’Regan. 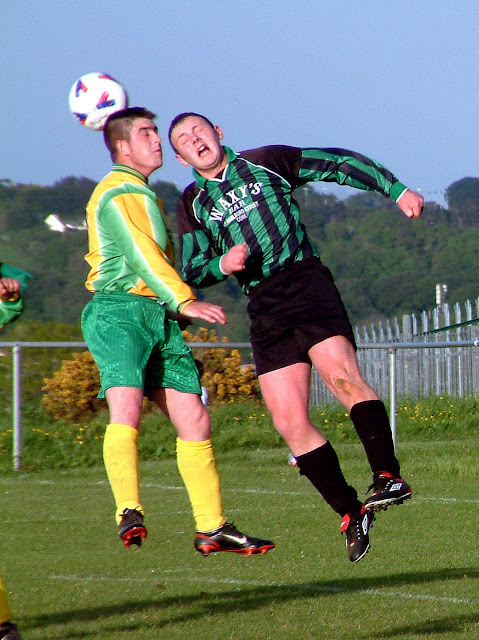 Premier league: Innishvilla v Glenthorn Celtic A, Innishannon, J. Linehan. Premier league: Innishvilla v Village United, Innishannon. Sunday, October 15. Ko 10.45am unless otherwise stated. Munster Junior Cup first round: Strand v Cathedral Celtic, Ballyanley, T. Thompson. AUL 1: Strand Utd v Rathcoole Rovers, Ballyanley, F. Murphy.